Kyle Dubas promised John Tavares he would have Nylander, Marner and Matthews all signed. Can he or will Dubas be forced to trade Nylander? What will the Leafs do with William Nylander? In the statement Dubas has promised John Tavares that the four core players will be with the team… You have to wonder if Dubas did not think William Nylander would hold steady and want a $8 million/year contract and no bridge deal. The Leafs cannot afford that salary and Nylander will not get it. 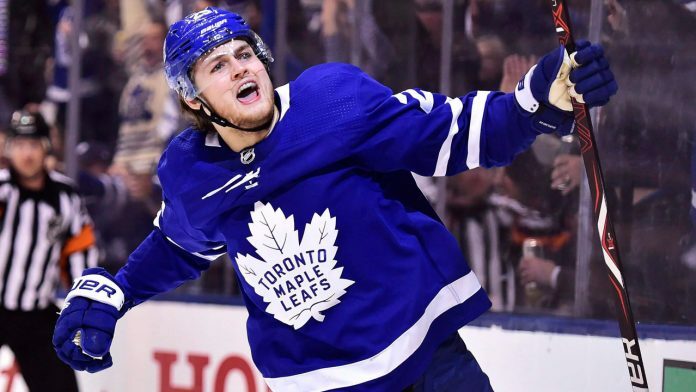 The question now is, can the Leafs get Nylander signed or will he will traded for a good young defenceman? Ottawa Sun: Anaheim Ducks general manager Bob Murray will be feeling the heat to go shopping after the club lost forward Corey Perry for an extended period with a knee injury. The Ducks will try to find the solutions from within, because that’s their only choice at the moment, but if they don’t get off to the kind of start people expect, don’t be surprised if Murray decides to add through a trade. Will the Blue Jackets trade Artemi Panarin and Sergei Bobrovsky?